Medical cannabis benefits: There is not a great deal of quality research available to confirm the medical uses of medicinal cannabis, but preparations have been used with some success for symptom relief such as reducing the spasticity in Multiple Sclerosis, as an appetite stimulant for cancer and human immunodeficiency virus (HIV) related wasting, and to relieve cancer chemotherapy induced nausea and vomiting. According to the York Daily Record, the state of Pennsylvania will receive roughly $7.9 million in revenue from marijuana permit applicants this year alone. Pennsylvania’s Medical Marijuana Program was signed into law by Governor Tom Wolf on April 17, 2016. Since that time, the department has completed the Safe Harbor temporary guidelines and Safe Harbor Letter application process, as well as approved 231 applications; completed temporary regulations for growers/processors, dispensaries, and laboratories (which have been published in the Pennsylvania Bulletin); released Phase One permit applications for grower/processors and dispensaries; developed the Medical Marijuana Physician Workgroup; drafted temporary regulations for practitioners to participate in the program; and selected the woman-owned company MJ Freeway to implement seed-to-sale tracking and security. Despite the large volume of applications received for grower/processors, the Department of Health has developed an intake process to carefully track and log each application and to ensure adequate staffing to meet the demand. The department anticipates it will issue permits at the end of June, consistent with its original 90-day review timeline, and the program is expected to be fully implemented in early 2018. 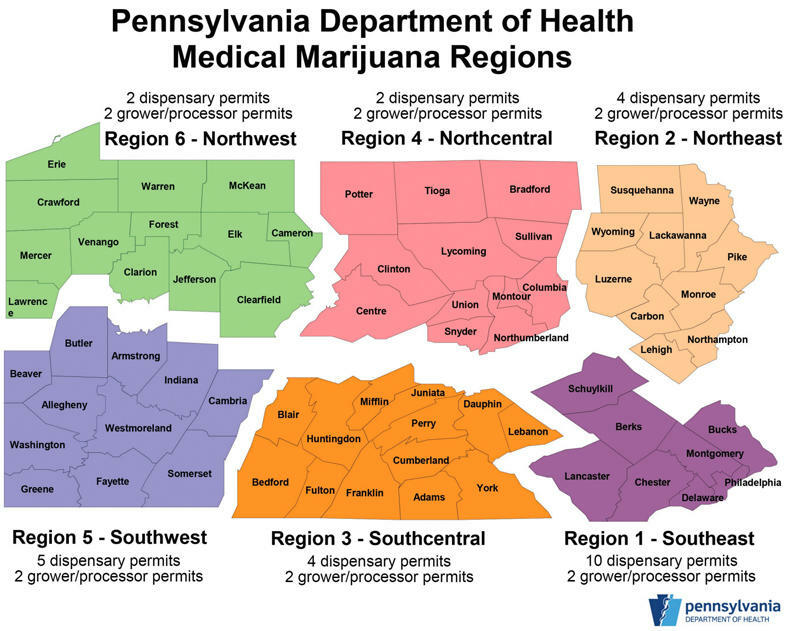 In the first phase of the program, there will be up to 12 permits issued for grower/processors across Pennsylvania’s six medical marijuana regions, and up to 27 permits issued for dispensaries. The decision for which counties will be issued permits in the first phase was determined by using the department’s medical data, as well as comments from more than 5,000 patients and nearly 900 potential grower/processors and dispensary applicants. Big opportunities exist for the 39 companies that will potentially win permits to grow or sell cannabis in the State. Interested parties include pro football players, a former high ranking officer of the state, local startups, as well as established companies that already grow cannabis in other states. Pro-Bowl football player Eugene Monroe wasn’t exactly well known, especially outside the NFL, until about a year ago after becoming the first active NFL player to openly advocate for the use of medical cannabis to treat chronic pain and head injuries. 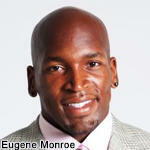 Since his removal from the NFL Monroe has focused his sights entirely on the medical marijuana industry. Monroe now plans to head up Green Thumb Industries Pennsylvania, which has applied for a permit to grow cannabis in the area. According to an announcement made last November, Monroe joined the Chicago-based company as a full-time partner and would take on the role of co-CEO of the company’s Pennsylvania-based operation. Monroe isn’t the only professional football player hoping to get in on the cannabis action. College and Pro Football Hall of Famer, Floyd Little, sits on the advisory team of Terradiol, a New York-based company that hopes to win a permit. Along with Eugene Monroe, the advisory team of Terradiol includes Mark Singel, a former Pennsylvania lieutenant governor. Singel served under Bob Casey from 1987 to 1995 and was acting governor while Governor Casey recovered from an illness. Singel formed The Winter Group in February 2005, a government relations firms in the State. According to its website, Singel continues to provide consulting services to clients in retail, hospitality and gaming, manufacturing, technology, energy, non-profits, and health care fields. (2) Five Leaf Remedies, a benefit corporation formed to apply for a permit to grow and process medical marijuana in York City, and to open three dispensaries in York County. Five Leaf Remedies hopes to turn the former tobacco-processing facility on E Prospect St into a grower/processor facility. As of April 26, the department has logged in 258 applications received. In keeping with the principle of transparency held as a top priority since the beginning of the program, the names and regions of the companies with logged applications will be put on the Department of Health website and will be updated when the logging is complete. For a full list of companies logged in so far click here.